Dr Milton Bowers was born in 1843 at Baltimore, Maryland, and was something of a ladies’ man. Unfortunately, his ladies had a tendency to die prematurely. Of average height and sporting a beard and moustache, he was said to be pleasant looking rather than handsome and he claimed kinship to Robert E. Lee. He was also an abortionist. He married Fannie Hammond who died in Chicago in 1865. He married again and his second wife was a beautiful Jewish actress named Theresa Sherek whom he had met in Brooklyn. She died on 28 January 1881 of an “abscess of the liver” and six months later he married Cecilia Benhayon-Levy, against the wishes of her family. By 1885 he was practising medicine in San Francisco in a surgery in Geary Street. On 3 November that year the third Mrs Bowers fell ill and died, her body swollen. As she lay near death, he implored, “Baby’s going, doctor — is there nothing we can do?” Her death was also ascribed to an “abscess of the liver”. An autopsy showed that she had died of phosphorus poisoning. Bowers was arrested and went on trial on 9 March 1886 and, after the longest trial in San Francisco history and a jury deliberation of just 35 minutes, was found guilty of first-degree murder. On 3 June Judge Murphy sentenced Bowers to be hanged. As Bowers waited to be put to death, Henry Benhayon, the brother of Cecilia Bowers, was found dead of cyanide poisoning in a rented room at 22 Geary Street on 23 October 1887. Next to him was a note in which he confessed to the murder of his sister. Doubts were raised as to whether the death really was a suicide and there was a suspicion that John Dimmig, the husband of Bowers’s housekeeper, had been behind the death. Dimmig denied all knowledge but the police discovered that he had bought potassium cyanide and he went on trial on 14 December 1887. The jury could not reach a verdict in February 1888 and a second trial saw him acquitted. Bowers was released in August 1889 and married a fourth time. 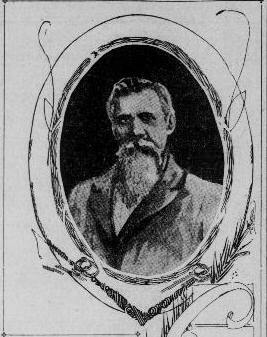 He returned to his practice and died at San Jose on 7 March 1904 of a stroke, the mystery of his third wife’s death still unsolved. One obituary mentioned his propensity for marrying and finished by saying his fourth wife “fortunately survives him”.